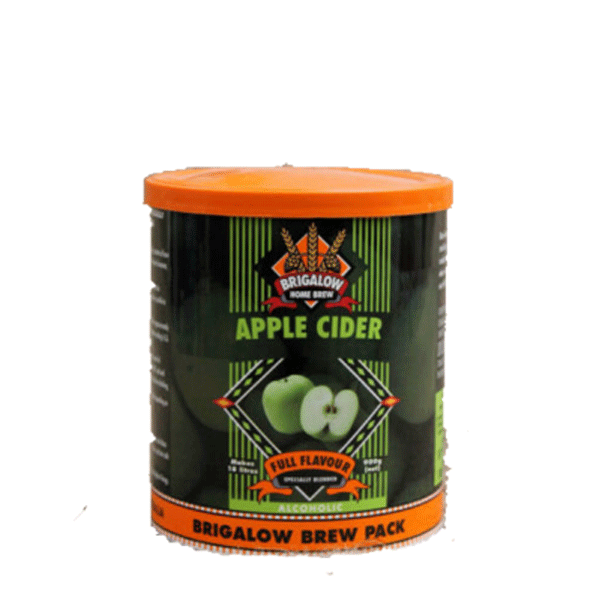 Brigalow Brew pack. Instructions on tin. Fresh, fruity and full of flavour so deliciously easy to drink with a crisp sweetness. A traditional sparkling Apple Cider. Light and refreshing. 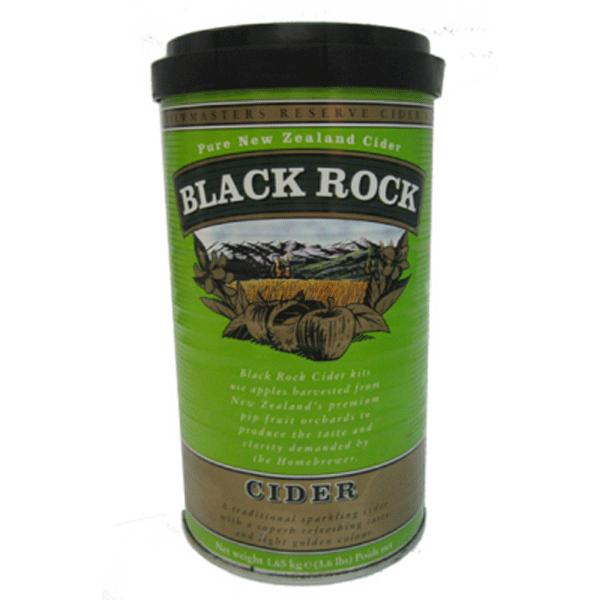 A soft lingering scent of ripe blueberries blended with a sharp apple base, refreshing and thirst quenching! Makes 23litres. 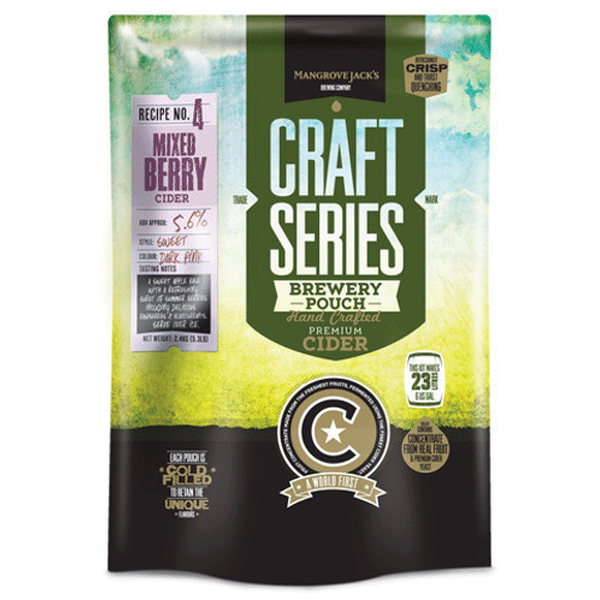 Mangrove Jack’s – Mixed Berry Cider – Craft Series. A sweet apple base with a refreshing burst of summer berries. The finest quality pears and essences give a beautiful sweet taste and aroma that extends from the very first contact with your nostrils right through to the aftertaste. 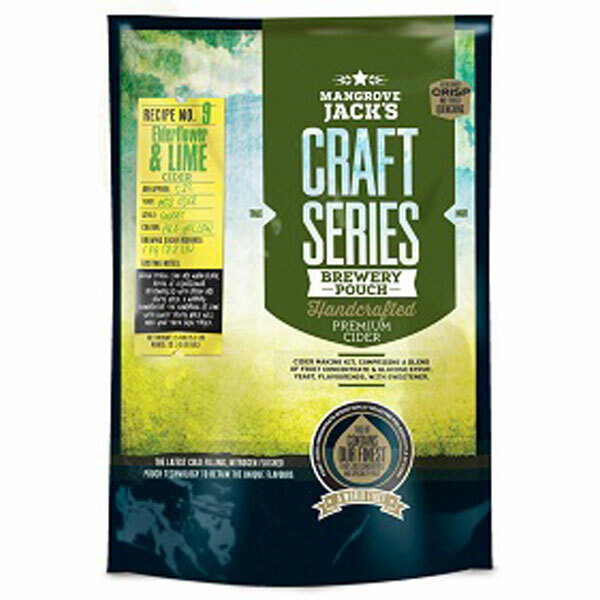 Bold aroma and flavour of fresh, juicy raspberries with a brilliant sharp lime finish. Wonderfully thirst quenching and moreish! Makes 23litres.